The Okanagan and Kelowna area offers a wealth of luxury properties and lifestyles to choose from, and can be narrowed into various categories. Lakeshore properties on Okanagan, Wood, and Kal Lakes are highly sought after and range from the old cabin, to expansive acreages with every amenity possible to enjoy. Secondly are the Estate Acreages from 1-20+ acres, many enjoying expansive views, privacy and various farm/agricultural experiences. We are an agricultural belt enjoying internationally recognized and sought after fruit and wine. The third category is the growing and expansive prestige custom built homes throughout the valley offering exceptional design, outstanding views, and every modern convenience possible. The fourth category is the various prestigious strata developments catering to the utmost of quality, experience, high end amenities, security, and the ability to lock and leave! 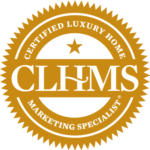 Shawn is an accredited member of the Institute for Luxury Home Marketing and has been awarded a Certified Luxury Home Marketing Specialist R (CLHMS) for his knowledge and proven experience in selling luxury properties. In addition, Shawn earned the Million Dollar Guild R (GUILD) recognition in 2018, with multiple documented sales in the top 10% of the million dollar plus range of our local luxury market.